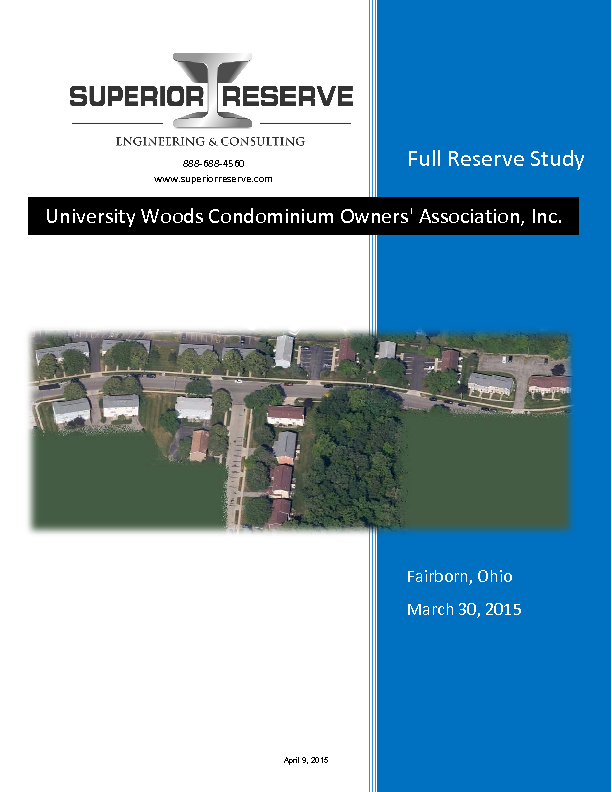 University Woods Condominium Owners Association, Inc. 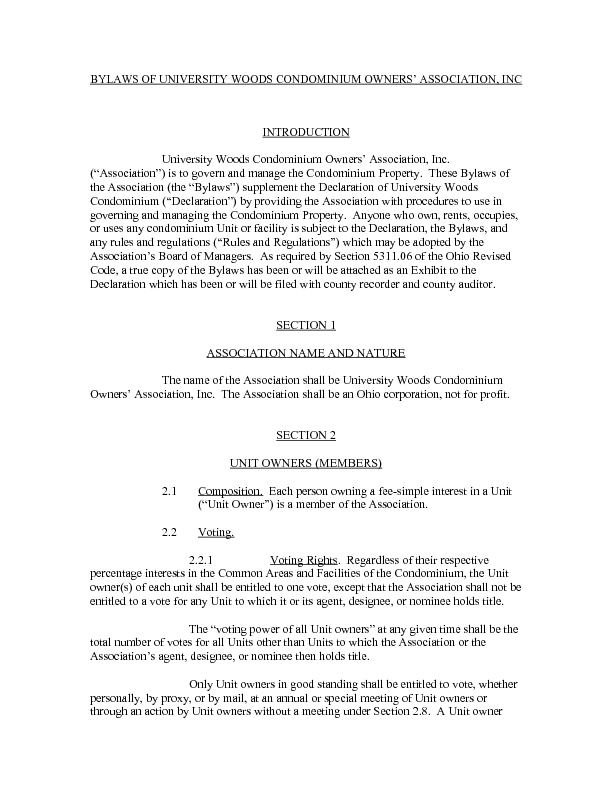 Welcome to University Woods Condominium Owners Association, Inc.
We hope you enjoy your condominium unit. Our objective is to maintain the Association as a very nice place to live. In order to accomplish this, we have established a handbook, which pertains to living at the Association. The handbook contains rules and regulations, which take into consideration the health, safety and comfort of all residents. We trust you will find them reasonable and will cooperate by upholding them. The section detailing architectural guidelines will be of particular importance to existing unit owners as well as new residents. Preserving the standards of quality and appearance of our condominium property is a goal to be shared by all. We asked that you keep this handbook handy and that you refer to it when necessary. If something arises that may not be covered in the handbook, please do not hesitate to contact the management company or the Board of Directors. 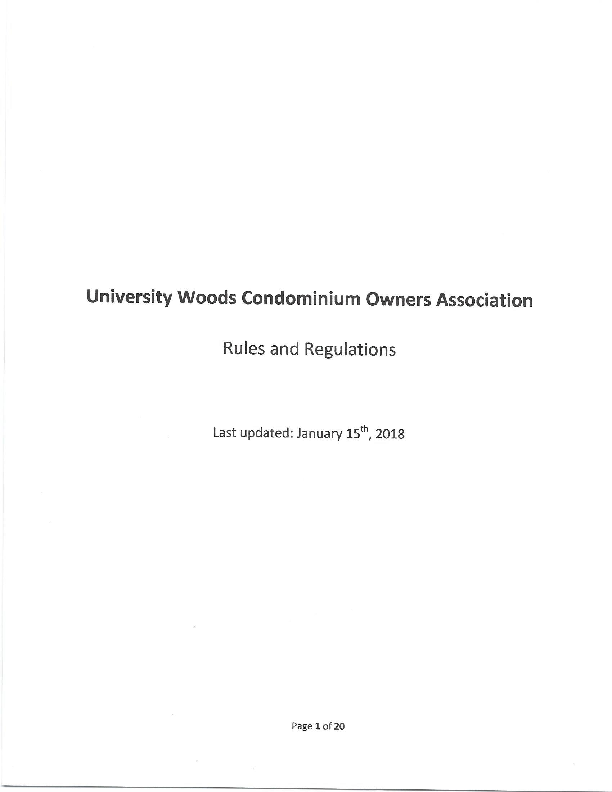 Additional information is also contained in the University Woods Condominium Owners Association Bylaws as recorded in the Greene County Records.. This booklet is intended to supplement, not replace the Declaration and Bylaws; therefore, if there should be an inadvertent discrepancy between what is expressed in this booklet and the recorded documents, the Declaration and/or Bylaws shall govern.